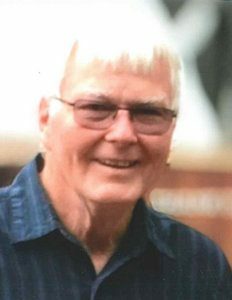 A celebration of life service for Lee Allen Taylor, 77, West Plains, Missouri, will be held at 2:00 p.m., Saturday, February 9, 2019 in the Rose Chapel of Robertson-Drago Funeral Home. Mr. Taylor passed away at 2:00 a.m., Thursday, January 31, 2019 at Barnes-Jewish Hospital, St. Louis, Missouri. He was born January 28, 1942, at Hutchinson, Kansas, to Melvin E. Taylor and Mildred Romance McCoy Taylor. On February 20, 1990, he was married at Garden City, Kansas, to Selma J. Blain. Mr. Taylor was a veteran, having served with the United States Army. He went through boot camp at Fort Leonard Wood, Missouri. Mr. Taylor became a resident of West Plains in 2010. He enjoyed watching movies, woodworking, fishing, outdoor activities such as bird watching and had a love for animals. He was an NFL football fan and loved to travel. Mr. Taylor was a Christian from an early age and was baptized at the Brethren Church, Garden City, Kansas. He is survived by his wife, Selma Taylor, of the family home and four children, Shaun, Shannon, Kristina and Christie; thirteen grandchildren; one brother, Melvin Taylor, II and wife, Jeanette; and seven nieces and nephews. His parents, one brother, Emmerson ” Pat” McMullen, one sister, Dixie Allen and one grandson, Chandler James Metzler preceded him in death. Memorial contributions may be made to St. Jude’s Children’s Research Hospital or Shriners Hospitals for Children and may be left at Robertson-Drago Funeral Home. Dr Selma, I am so sorry for the loss of your husband. Our deepest sympathy, sorry for the loss of Lee. You have a lot of memories to hold on to. I am so sorry to hear the loss of your husband. It broke my heart when I heard the sad news. Please know that if you need anything please let me know. You and your family are in my thoughts and prayers. May GOD bring you peace in this trying time. Dr. Taylor know my thoughts and prayers are with you. May your memories bring you comfort. Know your OMC family loves you. lost of memories, we will miss him. Condolences to you and your family in this time of grief. Our family send you love. Please let us know if we can do anything for you. My prayers are with the Taylor family. I knew Lee when I lived in Garden City in the mid-60s. He was bigger than life. What a great man who had an impact on my life. May God comfort you in ways only he can.